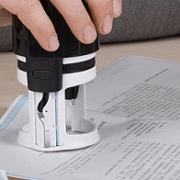 Traveling Notary is another term for Mobile Notary. This just means the Notary Public is Traveling. We realized years ago that a individual could call for hours at night without finding a reliable service to provide notarial services in Sacramento. An we set out to create a better service. More than just a one man operation in Sacramento, but a team to take care of your notarial needs. Trained to be fast reliable while keeping our prices affordable. We have built a new type of notary business in Sacramento. Ensuring you have a partner available when you call for assistance.